White is one of the basic wardrobe colors. You can match a white dress with almost any shoes and accessories no matter what color they are. You are a lucky person if you have a white dress. You have only to know how to wear a white dress to look gorgeous and amaze people every day. Jeans are one of the most fashionable pieces of clothing. Fashion stylists have proved that women who prefer different styles can wear jeans. The main rule is that your outfit should be balanced. Let's learn how to wear jeans. Many people consider fishnets to be vulgar. Surely, girls in short skirts, fishnets and high heels don't look decent. However, if you wear fishnets properly, you will look elegant. Let's learn how to wear fishnets to look beautiful and stylish. Everybody wants to look stylish, but unfortunately not everybody knows how. Some people dress beautifully and stylishly whereas others look ridiculous. Read on to learn how to look stylish. 60s style of clothing is still relevant because there was a significant fashion breakthrough exactly in that decade. Many fashion finds of 60s still appear in fashion magazines. AnydayGuide dwells upon how to dress like in 60s. 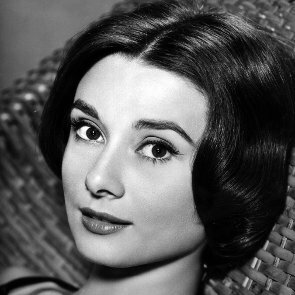 Audrey Hepburn's style is feminine, simple, romantic, elegant and ingenious.